Photons and neutrinos at TeV and PeV energies probe the most energetic proceesses known in the Universe. 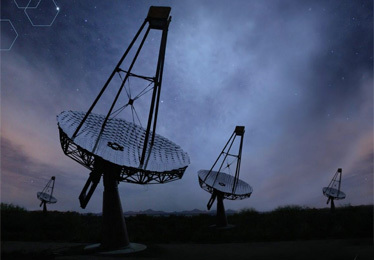 Thus telescopes detecting neutral particles at these energies can point directly back to sites of extreme particle acceleration, such as pulsars and pulsar wind nebulae, binary systems, supernova remnants, active galaxies, starburst galaxies and gamma-ray bursts. 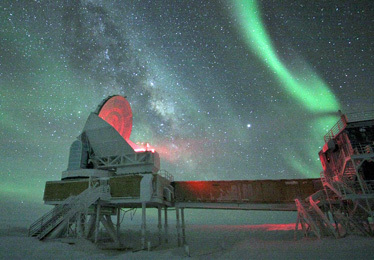 These telescopes can also carry out sensitive searches for physics beyond the standard model, such as the annihilation or decayof WIMP dark matter. UCLA is involved in the state-of-the-art gamma-ray (VERITAS, CTA) and neutrino (IceCube, ANITA) telescopes. The origin of the dark matter in the Universe is one of the most compelling mysteries currently facing physics and astronomy. Although we do not understand the nature of dark matter, there are many reasons to hypothesize that it consists of some type of new non-relativistic particle (or particles). UCLA has strong participation in the search for dark matter through both the direct-detection and indirect-detection techniques. 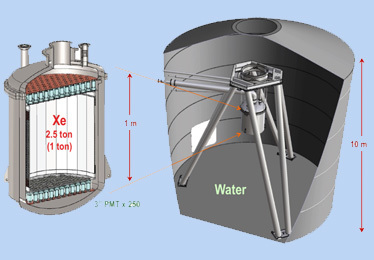 For direction-detection, the experiments include XENON and DarkSide; for indirect-detection, the experiments include GAPS (and telescopes for high-energy gamma rays and neutrinos). Over the last four decades, measurements of the cosmic microwave background (CMB) radiation have proven remarkably successful in advancing our understanding cosmology and the structure of the early universe. Added to the mix in recent years are measurements of the 21-cm transition of Hydrogen gas at large redshifts. UCLA has long involvement in key CMB measurements, including COBE and WMAP, and is now a leading partner in the South Pole Telescope (SPT) suite of experiments, and is working on the next-generation CMB-S4 experiment. © 2019 UCLA Department of Physics & Astronomy, 475 Portola Plaza, Los Angeles, CA 90095-1547, (310) 825-3440. All rights reserved.